I'm ready to take the stage and turn my passions into profits. 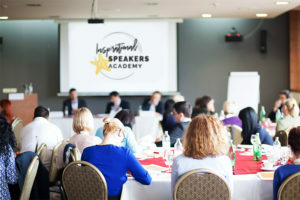 Thank you for your interest in the Inspirational Speakers Academy Workshop. Your privacy is our greatest concern. Your information will not be shared. Your personal story has the power to impact every area of your life. This workshop was designed with that in mind. 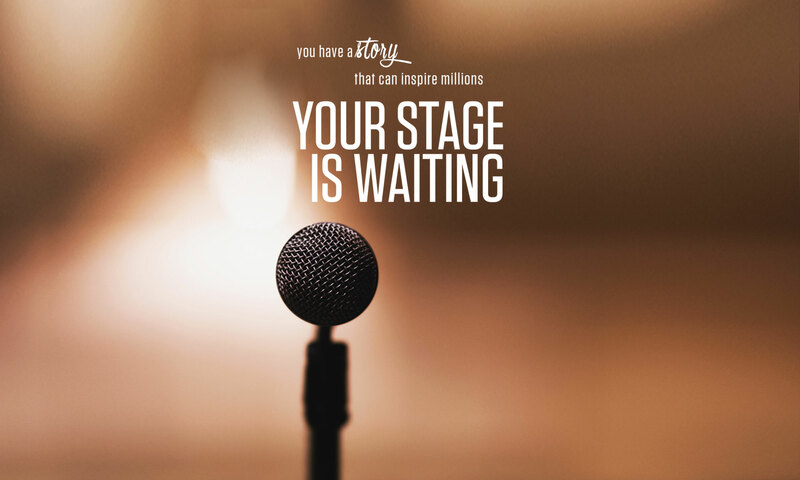 We invite entrepreneurs, thought leaders, sales professionals, authors, social influencers and experts who have a desire to share their story - on stage - in such a way as to motivate, educate and inspire others! With social media opening the door for millions to tell their story, how will you stand out? Are you able to speak in such a powerful way as to inspire others to take action? In our next workshop in Orlando, Mary and her team will work with you to help you reveal your unique story and learn to communicate it. We help you determine your brand and create the framework for your pitch platform and speech. Then with expert guidance, Mary will lead you through your own SIGNATURE KEYNOTE SPEECH ensuring you deliver a confident, engaging and professional presentation; one that evokes a standing ovation. Want to discuss your public speaking dreams with Mary and find out if this workshop is right for you? Sign up for a free 30 minute consultation… click below! 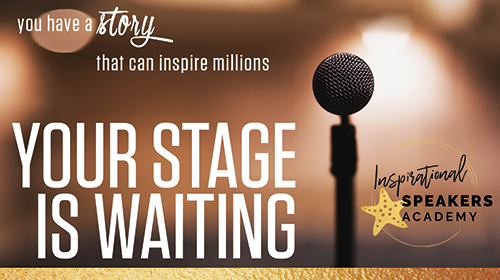 Practice on stage with Mary to become a master storyteller so your skills will open new doors for you personally, your career and your company. Receive 7 tips to be noticed, admired, and charismatic so that people will pick up the phone and call you. Would you like to be considered for one of the limited workshop spaces? Schedule a 30-minute preliminary Q&A to assess whether the workshop is a good fit for you. Consultations will be accepted Tuesday, June 26 through Tuesday, July 3.  Inspirational Speakers Academy will offer a 3 day intensive workshop that takes former professional athletes and fast tracks them into confident public speakers who can begin getting paid to speak on stages. One hour online workshop prior to traveling to the workshop to go over pre-workshop assignments. One hour of one-on-one market positioning discovery with each attendee prior to traveling to workshop. presentation skills and learning techniques like tie downs, echoes, etc. Evening workshop that prompts thought leadership and guides athletes towards discovering the basis of their why, their cause and their signature keynote. Attendees will work with brand strategists and writers and actually write their signature key note throughout the 3 days, leaving the workshop with a written speech. Professional headshots and lifestyle portraits will be taken of each attendee throughout the 3 days. Because we will only accept 10-12 participants in each workshop, they will each be given a 2 hour block for photos, scattered throughout day 2 and 3. Photo styles will be discussed PRIOR to travel for the workshop on a personal video conference with a branding strategist so each attendee will be prepared with appropriate wardrobe and necessary props and locations can be scouted for each attendee. Each attendee will receive a 5 page website after the workshop. All content for this website will be gathered during the 3 day workshop and delivered post-workshop. Simulated stage with high production value. Lights, podium, backdrop, etc. This stage can be utilized during the 3 days for social media capture, for practice experiencing being on stage, for video and photography capture, etc. Mary Gardner is the founder of Inspirational Speakers Academy and Mary Gardner Communications. Part talent scout, part “charisma coach”, Mary turns idiosyncrasies into assets and is not only inspiring as a speaker, she has a gift for pulling out the inspiring qualities within her clients; harnessing their magic and channeling it into inspiring, life-changing stories.